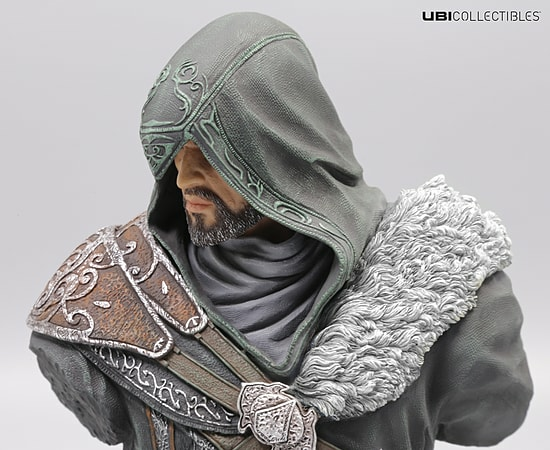 Ubicollectibles presents its latest creation featuring Ezio Auditore - now a Master Assassin - as he appears in Assassin's Creed Revelations. Ezio Auditore is an Italian noble who chooses the ways of the Assassins to avenge the treason suffered by his family. After freeing Italy from the influence of the Borgias, Ezio starts a personal quest to discover the origins of Assassin order. 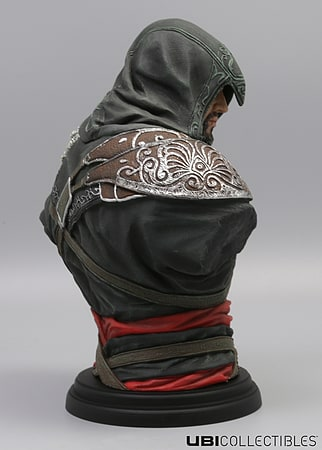 Now 52 years old and an accomplished Master Assassin, his travels lead him to Masyaf and on to Constantinople where he must prepare for his final fight with the Templars. 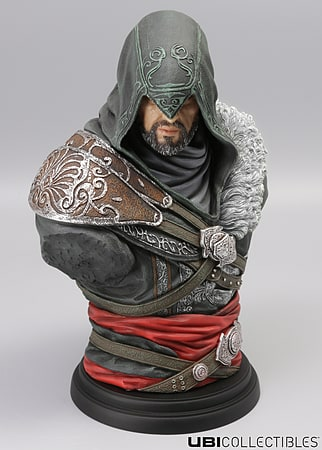 This bust is the continuation of the Legacy Collection, which includes all the most charismatic characters from the Assassin's Creed series.